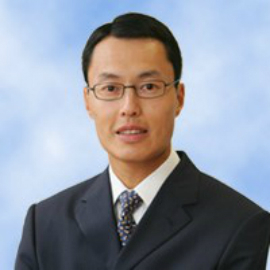 Dr. Chan joined the Group in 1984 and is responsible for the formulation of corporate strategies and business development of the Group. Dr. Chan has received a Bachelor’s Degree in Industrial Engineering from the University of Hong Kong. He was then transferred to Japan receiving professional training on Telephone Network Design. Dr. Chan has also attained an EMBA Degree from the Hong Kong University of Science and Technology, and DBA from the Hong Kong Polytechnic University which further strengthens not only his industry experience but also his leadership in the Group with cutting-edge management knowledge. Dr. Chan has over 25 years of experience in ICT industry. Under his leadership, the Group was listed in The Stock Exchange of Hong Kong Limited in 2001 (Stock code: 248). The Group is now engaged in distribution, retail of mobile phone, product development of RFID, home automation, and systems integration in Hong Kong, China, and the Asia Pacific Region. Furthermore, Dr. Chan is very active in promoting the ICT industry in Hong Kong. He has served as an Executive Committee Member of the Communications Associations of Hong Kong (www.cahk.hk) for over 10 years and was the Chairman from 2006 to 2012.